Canada's top banker Mark Carney suggests in an interview on CBC Radio's The House with Evan Solomon that the housing market could be headed for trouble in parts of the country where home prices are high. Canada's top banker suggests the housing market could be headed for trouble in parts of the country where home prices are high. In an interview airing Saturday on CBC Radio's The House, Carney told host Evan Solomon there are "issues in some segments" of the housing market but stopped short of saying a housing bubble exists in Canada. "There are issues particularly in some parts of the country, in the condo market, without question, where activity has been particularly strong ... and in some of our major cities, without question, evaluations are extremely firm," Carney said. "Some caution is warranted in that environment," he added. Economists have pointed to the condo markets in Toronto and Vancouver as being particularly unsustainable. The average home price in Vancouver finally saw a decline in March at $730,998 from $823,749 in February, while the average home price in Toronto rose again in March at $503,998 from $499,354 in February. 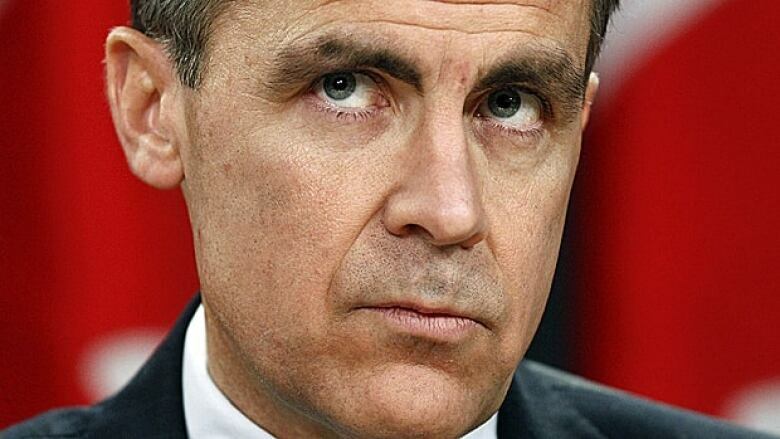 "We're warning of an issue at a time that we can still do something about it," said Carney. According to him, there are a number of defences to protect against a housing bubble. "First and foremost, it's the decisions of the individuals who take out the loans, and Canadians are a smart and prudent people," he said. But he added that the onus isn't just on individual Canadians, but also on the banks and institutions that must make some wise decisions and not lend to people who clearly can't pay the money back, as well as the federal government for tightening mortgage lending rules. All of these measures will "help to ensure the system is resilient," he said. Carney repeated warnings against Canadians taking on too much household debt, after the Bank of Canada this week left the key interest rate untouched at one per cent for the 13th consecutive time. Carney said interest rates "are going to go higher," and Canadians should make sure they can carry that debt when interest rates "are at a more normal level." Carney, who is no stranger to England, maintained he was not approached by the Bank of England to replace its current governor Sir Mervyn King whose term expires next year. Carney, who worked at Goldman Sachs in London and obtained his PhD from Oxford University, said that he saw King "in the course of the last 24 hours" and the two "had a laugh about it." Carney spoke to Solomon from Washington, D.C., where he is attending the G20 Spring Meetings of the IMF and the World Bank. He chalked up this week's rumours to "the media business." "Sometimes it's easier to talk about personalities than it is to talk about monetary policy or the intricacies of the Financial Stability Board," Carney joked. When asked how Carney would mark the Queen's Diamond Jubilee and 86th birthday today, Carney hesitated for a moment then thanked Solomon for reminding him, saying: "I better get a card in the mail." Jokes aside, Carney said the Bank of Canada is putting the "finishing touches" on the new polymer $20 bill which features a portrait of Queen Elizabeth II and is scheduled for release later this year.